Janice Beam, 81, of Dunlevy, PA (formerly of Punxsutawney) passed away peacefully on Thursday, December 6, 2018 at Arden Courts of Jefferson Hills. She was born on September 23, 1937 in West Newton, a daughter of the late Joseph Martin and Thelma Adeline (Sterner) Celapino. Janice was a graduate of South Huntingdon High School in 1955. On June 12, 1961 she married the love of her life Daniel Richard Beam. They enjoyed fifty-seven wonderful years together. He survives and resides in Dunlevy. She attended the Church of God in West Newton. During her lifetime Janice sold Home Interiors, worked at Punxsutawney Area Hospital and later became a Pennsylvania Real Estate Agent for Allemang Realty. After retirement she enjoyed working at Steinmart. Janice was always smiling and always styling. She was a social butterfly who loved to dance, laugh and had an amazing spirit and love of life. She loved being poolside or at the beach working on her tan. She will be remembered most because of her feisty personality, yet she was a loving and caring person who loved and cared for so many people around her. Janice’s favorite quote was “I’m going to do what I want to do, when I want to do it” which held true to the very end of her life. 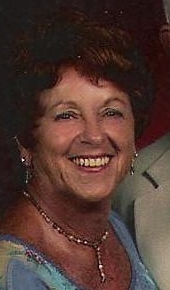 In addition to her husband Dan, she is survived by three children, Daneen Troup of Monongahela, Heather Ellis of Monongahela, and Craig Beam of Dunlevy; three grandchildren, Heather Amey and husband Ty of Rostraver Township, Justin Ellis of Jacksonville, Florida and Kelsey Troup of Erie; two great grandchildren, Sienna and Harper Amey; one brother, Butch Celapino and wife Mary of West Newton, sister in law Kay Moore and husband Bob of Lowber, PA; lifelong friends, Sara Yates and Andrea Beraducci; and loving nieces, nephews, cousins, family and friends. Preceded in death by her parents, two brothers and their wives, Jack and Norma Celapino, Frank and Dorry Celapino. Friends will be received from 2-4 and 6-8 p.m. Saturday, December 08, 2018 and from 1p.m. until 3 p.m. Sunday at her dear friend Brenda’s, the Shumaker Funeral Home, Inc., Punxsutawney. A funeral service will be held at 3 p.m. Sunday at the funeral home officiated by Pastor Doug Wolfe. A graveside service will be held in the West Newton Cemetery Chapel at 1 p.m. Monday, December 10, 2018 officiated by Pastor Susan McMichael. She will be interred following the service.